RasPIX is a very universal solution of radiation camera with an excellent connectivity and portability. The system contains state-of-the-art Timepix imaging detector. 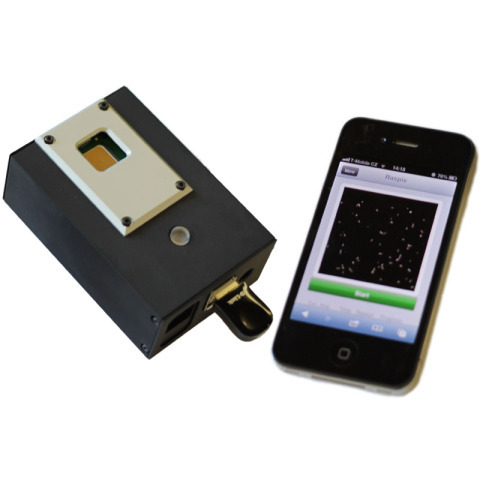 It can be used in imaging applications (e.g. X-ray or neutron imaging) as well as for radiation monitoring where its ability to recognize individual particles and measure their energies is utilized with great advantage. RasPIX can work fully autonomously being remotely controlled via internet or it can operate locally in combination with PC. It provides web based interface that can integrate data from multiple modules. The integrated data analysis provides information about type of detected radiation (X-ray/gamma, electrons, neutrons, alpha particles, MIPs, etc. ).